Roots of Empathy is a school-based program for elementary school children that aims to promote mental health and prevent violence. At the heart of the program are a neighbourhood infant and parent who visit the classroom over the school year. A trained Roots of Empathy Instructor coaches students to observe the baby’s development and to label the baby’s feelings. In this experiential learning, the baby is the teacher and a lever, which the Instructor uses to help children identify and reflect on their own feelings and the feelings of others. The program develops social and emotional competence, self-regulation, and executive function. Building on Community Strengths and Needs: Cultural aspects of Roots of Empathy support a wholistic, worldview/circles, total person/ balance, family/ community/ relationships, babies and Elders as teachers, and the potential for healing cultural wounds from historical traumas. People living in conditions of disadvantage are explicitly stated to be a target population of the intervention. The Roots of Empathy fosters the development of empathy among children in classrooms from kindergarten to grade eight. Community-based: Assembly of First Nations resolution supports Roots of Empathy General findings from a 2010 evaluation showed that there were no local adjustments made in the First Nation community settings to the curricula itself. Additionally, there was nothing visually different from a cultural perspective for the on-reserve programs as compared to off-reserve non-First Nation public schools, with regard to the use of the Roots of empathy green blanket, Roots of Empathy bag and supplies, Roots of Empathy baby doll, and the books. Wholistic: Roots of Empathy is based on six strands of human connection: neuroscience, temperament, attachment, emotional literacy, authentic communication, and social inclusion woven throughout the programs. 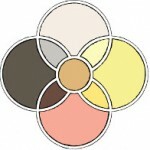 The circle is the symbol of the traditional wholistic worldview representing boundaries and safety. In Aboriginal settings, when staff asks the children to gather around the blanket, they refer to the gathering as a circle and in this setting the children are close together, as well as all being connected by sight. People living in conditions of disadvantage were included in decision-making processes. Individual Level Awareness with regard to own emotions: ability to recall having the emotion; describe the emotion; describe circumstances when self has or might appropriately experience the emotion. Reported outcomes do not distinguish findings specific to people living in conditions of disadvantage. Interpersonal Level Recognition of emotion in others from visual clues – naming the emotion; describe the emotion; describe circumstances (reasons) when another has or might appropriately experience the emotion. Ability to suggest possible strategies for others experiencing emotions, or those in a position to affect them: managing emotions; emotional strategies; social/relational strategies; vs. inappropriate actions/reactions such as aggression. Reported outcomes do not distinguish findings specific to people living in conditions of disadvantage. Multiple implementations - Different settings/populations/providers - The intervention showed significant adaptability as it has been implemented in different settings or with different populations or by different provider(s). This can include multiple implementations during the same time period. Each implementation of the intervention must have been substantially the same and must have demonstrated positive results for the primary objectives of the intervention. Specialized skills training provided as part of the Intervention - The intervention does not require individuals or groups with highly specialized training, but requires that individuals or groups be trained as part of the implementation of the intervention.